Speak to any professional footballer and the majority will tell you their careers began playing at the grassroots level of the game. Cold Saturday and Sunday mornings on open fields where two teams of youngsters do battle within a poorly marked pitch, aiming to score between goalposts held together by gaffer tape. 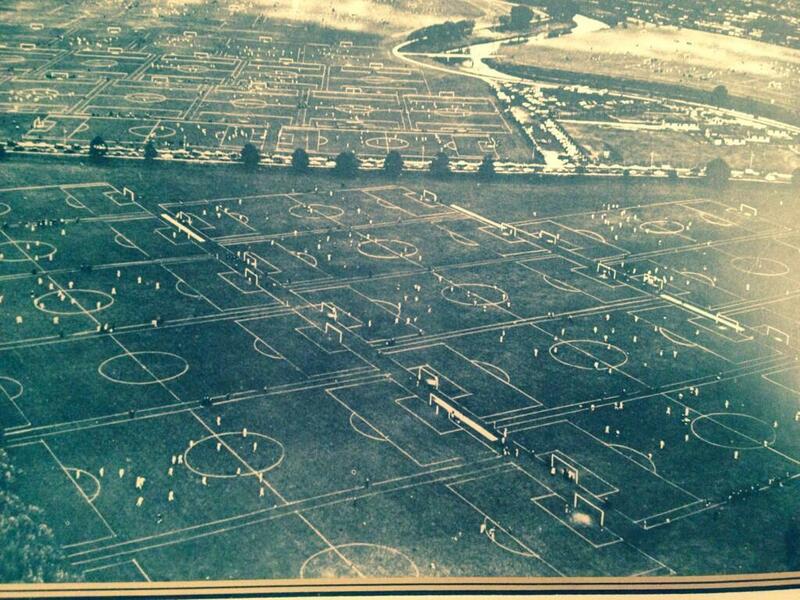 A place where football is played purely for the love of the game. London’s Hackney Marches is seen as the “Mecca” to amateur football from all parts of the country. Potentially hundreds of future professional footballers raised in the capital plied their trade there at some point in their development. Just a stone’s throw away the likes of Arsenal, Tottenham Hotspur and West Ham United are excitedly rubbing their hands together at the thought of a new TV rights deal where the team finishing bottom of the Premiership will earn £99m at the end of the 2016/17 season. The champions will earn £150m plus extras for each televised match they play. There may be few miles geographically between some amateur football pitches and the stadiums belonging to football’s elite, but the two sides of the spectrum are a million miles apart when compared in terms of facilities and finances. While the money from the TV rights deal is continually rising, so too are the costs of grassroots football. Prices of essential kit and equipment as well as pitch rentals are getting higher and higher with few ways of funding it all. The Save Grassroots Football campaign believes more money from Premiership clubs should be filtered down the system to the amateur youth football in the hope of finding the next future stars of the game and making the sport more accessible. The campaign has gained much media coverage through the likes of Henry Winter, Dan Roan and Stan Collymore as well as the support of current players, including QPR’s Charlie Austin and Joey Barton. Kenny Saunders, founder of the Save Grassroots Football, feels that more can be done at the top to help those that need the money most: “The Premier League agreed to give 5% of it’s income to grassroots football, although we have research to say it is far less than that. “They support the Football League and the non-league clubs financially, but not enough is given to grassroots football where the heart of the game really is. “Footballers aren’t built in academies. They start out in organised football and more needs to be done to support the next generation coming through. “The government talk about the problems this country has with obesity, yet doesn’t do enough to support junior sport which would help minimise the number of overweight children in this country. Former footballer Danny Mills spoke to BBC Radio 5Live about his experiences at first-hand of the poor facilities currently being used in grassroots football and states more can be done to solve the problem: “I’ve been watching my boys go through it for 10 years and they didn’t play between November and February last season because the pitches were unplayable. “It’s about creating better and more educated coaches and better facilities for kids to play on. Who in their right mind wouldn’t be encouraged by that? On Good Friday, Birmingham City and the supporter’s group Blues Collective celebrated their ticketing initiative that has seen the club raise over £5,000 for grassroots football around the local area. The scheme enables grassroots clubs and leagues in and around Birmingham discounted tickets to sell to their members for games at St. Andrews. Half of the money they make goes towards their running costs and already 50 teams have got involved. As part of the day, Save Grassroots Football were invited to the game against Rotherham United and Saunders believes Birmingham City are leading the way for all other clubs to follow: “It has been a fantastic day for grassroots football and everyone at this football club. “The initiative is a great idea and I hope the success of it at Birmingham City will mean other clubs around the country will follow suit sooner rather than later. The amount of young players that have played here in the first-team over the last few years shows that the area can develop high quality footballers with the right investment and support. “I spoke to a number of people involved with the grassroots game before the match and they explained how difficult it is at the moment to fund and run a team. The local council have doubled pitch rentals and some teams are struggling to pay the costs. 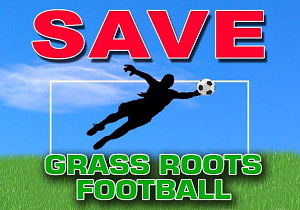 You can follow Save Grassroots Football on Twitter at @savegrassroots and on Facebook on their page Save Grassroots Football. Should more money go towards funding grassroots football? What are your experiences of the grassroots game?